Note: This is the bound book only and does not include access to the Enhanced Pearson eText. To order the Enhanced Pearson eText packaged with a bound book, use ISBN 013440324X. This classic in the field of early childhood education provides practical tips and research-based methods for developing teachers, plus ready-to-use checklists for observing children and the classroom environment. 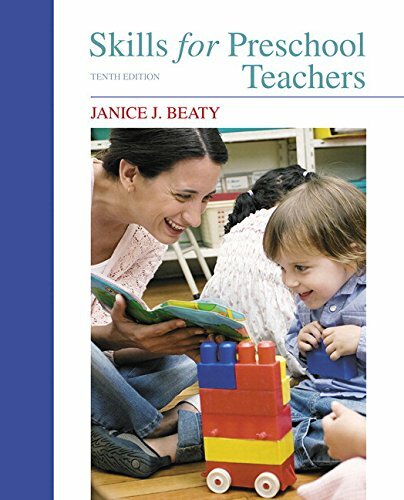 In addition to its success as a college text, Janice Beaty’s Skills for Preschool Teachers is widely used by student interns, volunteers, assistants, CDA candidates, and beginning and experienced teachers around the world who work with three- to five-year old children in a variety of settings—preschools, center-based child care, Head Start programs, and pre-kindergartens. Rewritten to include the most recent research on the use of technology with young children, the linkage between brain development and children’s play, and the importance of taking indoor activities outdoors, this new edition brings students up-to-date on the latest information and innovations in the area of preschool teaching.